The estimated death toll is one of the main findings of the much-anticipated report on Russia’s involvement in the Ukraine conflict, which was completed by allies of Nemtsov after his killing in February and released on May 12. The report — titled “Putin. War” — asserts that at least 150 Russian military personnel were killed during a Ukrainian offensive in August 2014. A further 70 — including 17 paratroopers from the city of Ivanovo — were reportedly killed during fighting near the bitterly contested town of Debaltseve in January and February. Families of those killed in 2014 were given 2 million rubles ($39,000) by the government in exchange for signing a promise not to discuss the matter publicly, the report claims. It says the families of soldiers killed this year were offered similar compensation but have not received it. Also, according to the 64-page report, Russian service personnel are being compelled to officially resign from the military before being deployed to Ukraine in an effort by the Russian government to mask its involvement in the conflict. President Vladimir Putin and the Russian military have consistently denied that Russian forces are involved in the fighting in Ukraine, saying that any Russians participating are there of their own accord. “The most important thing is to tell the truth,” activist Ilya Yashin said at the report’s presentation at the Moscow headquarters of the opposition political party RPR-PARNAS. “The purpose of this report is to tell people the truth. The leadership of our country bears responsibility for a crime. It bears responsibility for an enterprise that has victimized Ukrainian citizens and our fellow Russian citizens,” Yashin said. Kyiv and NATO say there is incontrovertible evidence of direct Russian military involvement in the conflict between Ukrainian forces and pro-Russian separatists, which the United Nations says has killed more than 6,100 civilians and combatants since April 2014. The Nemtsov report is divided into 11 chapters, including sections on Russia’s overall policy toward Ukraine, the use of propaganda, the annexation of Crimea, and the shooting down of a Malaysia Airlines passenger jet over eastern Ukraine in July 2014. It documents the use of Russian budgetary funds to pay Russian citizens to fight as mercenaries in eastern Ukraine and asserts that the political leadership of the separatists in Ukraine is controlled by Putin aide Vladislav Surkov. The ultimate purpose of Moscow’s support for the separatists in eastern Ukraine was “to create an advantageous negotiating position with Western countries” in order to get them to lift sanctions imposed after Russia’s annexation of the Ukrainian region of Crimea in exchange for an end to hostilities in eastern Ukraine. The report also presents information from the Ukrainian government and military about the interrogations of Russian citizens captured fighting in Ukraine. This information has been scantly and skeptically reported by Russian state-controlled media. 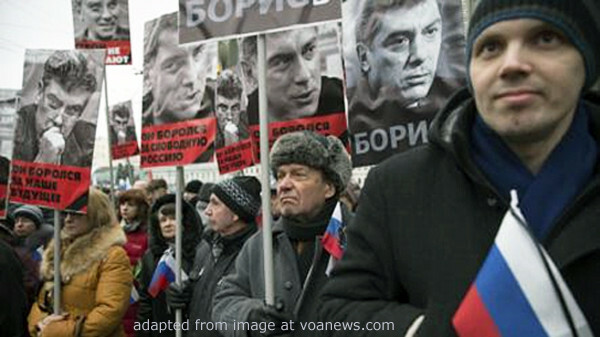 Nemtsov, a former deputy prime minister turned fierce Kremlin critic, was shot to death on February 27 in central Moscow, yards from the Kremlin, while he was working on the report. 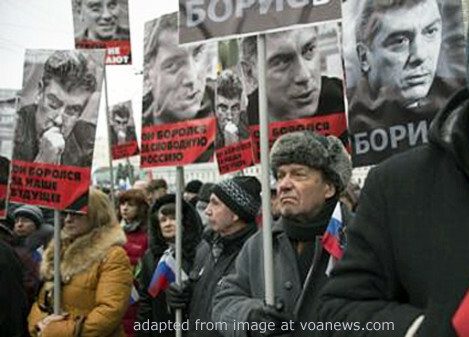 Nemtsov’s friends and colleagues in RPR-PARNAS completed the research following his death, even though many documents were confiscated by investigators looking into his killing and many sources were no longer willing to speak to the researchers. “If they shot Nemtsov right next to the Kremlin, then they can do whatever they want to our activists in Ivanovo and no one would notice,” the report quotes an unnamed lawyer representing the families of two killed paratroopers as saying. The Nemtsov report also estimates that Russia has spent at least 53 billion rubles ($1 billion) on the war in Ukraine and a further 80 billion rubles supporting refugees from eastern Ukraine, where the rebels hold parts of the Donetsk and Luhansk provinces. 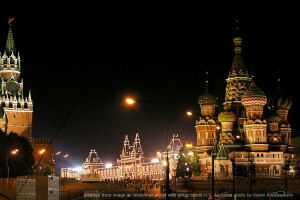 The economic part of the report was written by economist Sergei Aleksashenko, a former deputy chairman of the Russian central bank. The report has been placed online its entirety and published in an initial print run of 2,000 copies. Organizers are collecting donations online to pay for an eventual mass printing and free distribution.